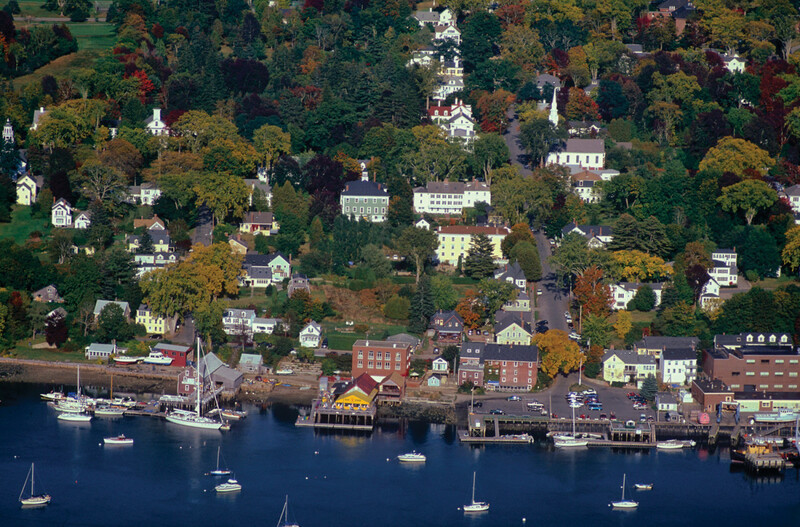 Castine was established as a trading post in 1613 and is a preservationist’s dream. 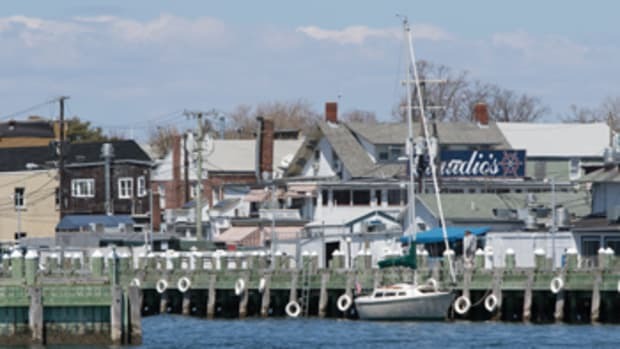 Named for a French baron, Castine was established as a trading post in 1613, seven years before the Pilgrims waded ashore at what became Plymouth, Massachusetts. Castine was strategically situated on the Bagaduce River, just off Penobscot Bay. It was soon a nexus of international struggle that spanned two centuries and five nations, including the indigenous Wabanaki. In 1628 the French lost Castine to the British, but they got it back, only to lose it to the British again. They got it back again, only to lose it to the Dutch. I know — the Dutch? The French got it back yet again but then lost it to the British again. We’re not even out of the 1600s. In 1776 Castine became American. The place was bitterly contested in the Revolution when an American expeditionary force attempted to take it from an occupying British garrison. The expedition was a lopsided fiasco on a scale that history books place on par with Pearl Harbor. In a court-martial, Paul Revere beat the rap on charges of cowardice, but no one came out looking good. The British reoccupied Castine in 1814, and when they pulled up stakes the next year, they were the last troops to vacate American soil. Why such strife? There was a time when furs, fish and timber sent nations to war. Castine had it all. Many of the qualities that made Castine attractive back then remain. The approach is deep and straight. You can carry 60 feet of draft right into town. The unlit “CH” buoy clangs at the river mouth where wind and tide often create turbulence. Hosmer Ledge to starboard is marked by a day shape on a granite monument. At low tide it looks like the conning tower of a submarine. Castine is to port. In the absence of fog, look for the two charted church steeples and the dormitories of Maine Maritime Academy on the hill. By far the best landmark is the academy’s 500-foot training ship moored just downriver from the town dock. If it’s there, you can’t miss it. 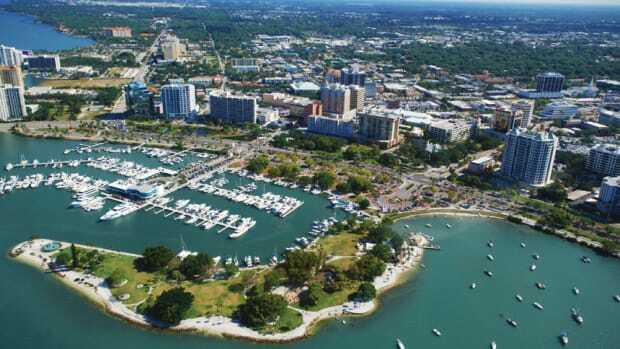 If it is at sea, the academy waterfront facilities, all to port, are a good indicator that you have arrived. The town dock can handle vessels up to 100 feet and has floating docks for dinghies. During the day, berthing is limited to two hours, but overnight dockage is available. 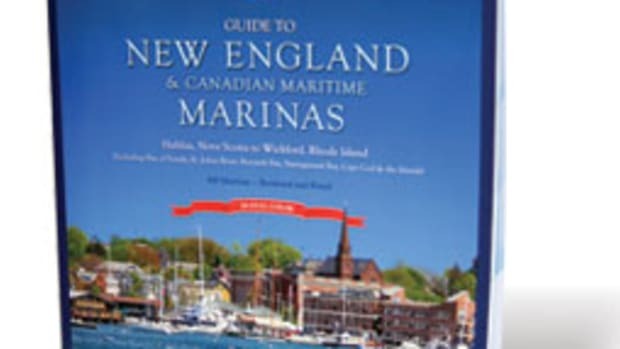 The town has some moorings, mainly for visiting passenger schooners, which frequent the harbor in season. Just upriver from the town dock is Eaton’s Boat Yard, where fuel and marine services are available. Upriver from Eaton’s is the Castine Yacht Club. Smith Cove, across the river, is a well-known hurricane hole with good holding in 20 to 25 feet at low tide. 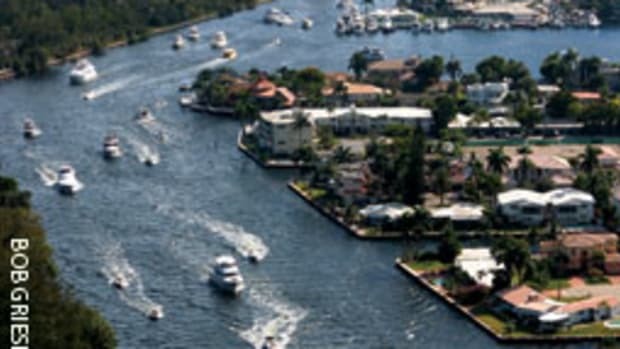 Nautilus Cove is another nice anchorage to the south, though beware the bar separating it from the Bagaduce River. The tidal range at Castine is 10 to 12 feet, so figure that in when calculating scope. The Bagaduce disgorges a tremendous amount of water. Expect 3 to 4 knots of current on the ebb, but the nearby coves are largely unaffected. 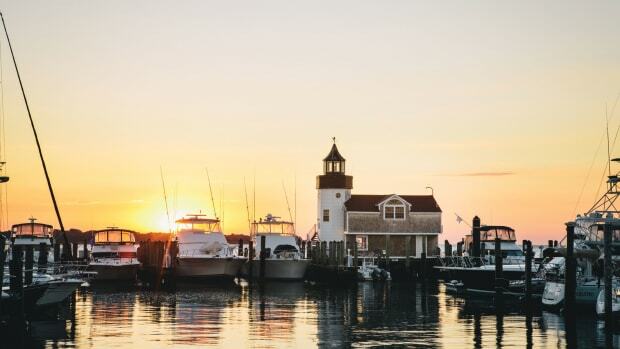 For a town of 1,400, Castine offers shoreside pleasures that are surprisingly complete. The Pentagoet Inn and The Manor Inn have fine dining, while other eateries and pubs clustered in the heart of the village round out the choices. Castine Variety, on the corner of Main Street, does breakfast and lunch, and T&C Grocery, on the other corner, can handle provisions. The sights of Castine are walkable. Head up the hill to Fort George, an old British fortification with a wild-flowered moat and a baseball diamond inside. If a baseball diamond could wink, this one would. Fort Monroe, closer to the river mouth, offers a fine vista of Penobscot Bay. Like all graveyards, Castine’s tells a story, only with more sea captains and drownings than most. The Castine Historical Society and the Wilson Museum, both in town, are worth a look-see. Castine possesses what is arguably the most quintessential New England town green in existence. A Civil War statue is amid antique homes, a white church, a stone library and a 19th century schoolhouse that’s still in use. A walk through Castine is a preservationist’s dream, with grand examples of nearly every post-Revolutionary style of residential architecture. If one simply must have golf, there’s a nine-holer, but be advised the sand traps were redoubts in the Revolution and may not comply with PGA regulations. The most obvious modern presence in Castine is Maine Maritime Academy, a four-year public college founded in 1941 for training merchant marine officers. 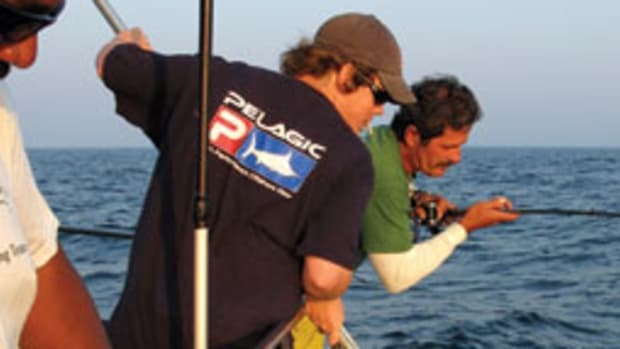 It now offers programs in ocean science and international business and logistics, as well. MMA has state-of-the-art training facilities and is recognized around the globe as a leader in maritime education. It is said that a Castine colonist once remarked, “New York will never amount to anything. 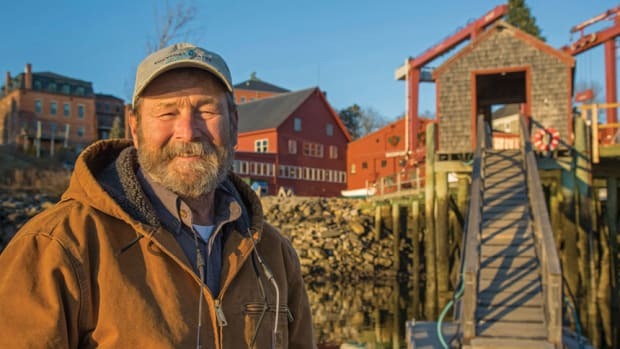 It’s too far away.” Every small town is the center of its own universe, but few patches of waterfront in North America have a story to match Castine’s. And the place is drop-dead gorgeous.